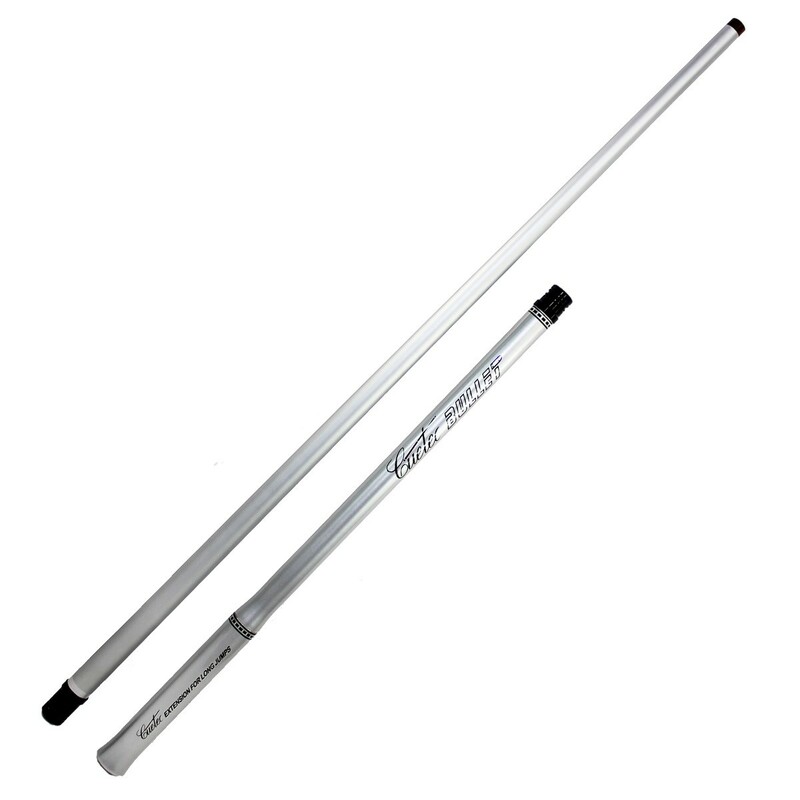 The Cuetec Bullet Jump Cue just may be the best and most versatile jump cue on the market today. Designed and currently being used by Champion Player Shane Van Boening, the Bullet Jump Cue weighs 16 ounces and features a 13.5 mm deluxe phenolic tip and will provide the firmness to jump with confidence and therefore achieve the desired results. The shaft portion is high grade Carbon fiber bonded to Grade A North American Maple and is warp, dent, ding, and scratch resistant further enhancing the ability to jump accurately with complete confidence. Using the cue with only the matching 13" handle, which is also high grade Carbon fiber bonded to Grade A North American Maple, is ideal for the short distance jump shots. Add the 6" extension, made from Grade A hardwoods, the Bullet Jump Cue is then ideal for longer distance jump shots. This Jump Cue is shorter making it lighter and easier to control allowing for the quick and accurate stroke required to jump like a pro.